“Okay, you start hand washing the laundry and I’ll run to the cash machine and buy some wine and cheese for our picnic on the beach,” I said to my boyfriend Joe as I walked out of the hotel room. “Sweet, see you soon!” he replied, dumping out a garbage bag full of dirty laundry onto the bathroom floor. We had been backpacking across Europe for almost a month; having traveled through the Netherlands, Belgium, France and Spain, we know found ourselves in Anzio, Italy. Anzio is a little town about an hour south of Rome by train, and I had wanted to visit the ocean-side town to swim in the waters where my grandfather had landed over fifty years before. Anzio was the site of one of three amphibious landings that the young soldier participated in during World War II. Remember the opening scene of Saving Private Ryan? Yeah. My grandpa had no desire to see that movie. He had lived it. Budget travelers extraordinaire, my boyfriend and I had planned to camp out on the beach under the stars; however the appearance of more than a few unsightly characters around our lean-to tent convinced us that the smart decision was to book a room at a cheap hotel. We were used to hostels and similar budget accommodation, and the hotel felt palatial with its TV, window and private bathroom. Taking advantage of the latter, we decided to finally deal with the growing mountain of garbage laundry we had in our backpacks by washing it in the sink and using the hotel’s laundry line to dry it overnight. I returned to the hotel room with a bag of picnic goodies in hand, excited to get the laundry washing over with and hit the beach for a sunset picnic. But Joe had things well under way, and not exactly how I expected. 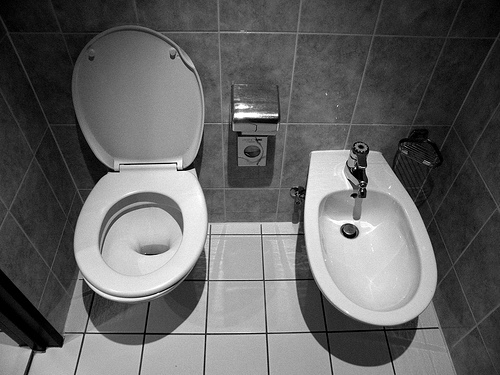 “What’s this extra sink for?” he asked, hunched over the bidet which was full of warm soapy water and my clothes. 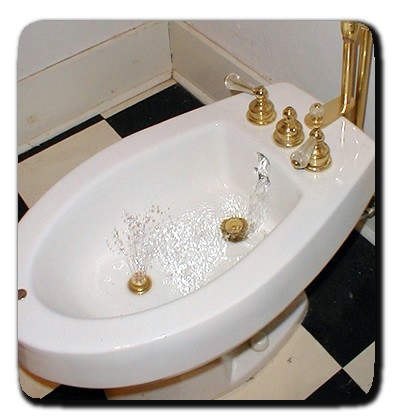 He was nearly elbow-deep in the “extra sink” as I explained to him that it was actually a bidet, used to wash, well, butts. BUT- what can you do at that point? We finished up the laundry and headed to the beach, toasting our travel lesson under the setting Italian sun. Categories: Europe | Tags: anzio, italy | Permalink. There’s one of this extra sink in my hotel room!